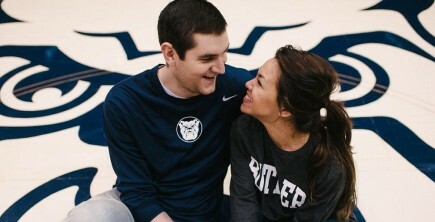 Butler University has entered into a partnership with Be The Match, which operates the national bone marrow registry, honoring the late Butler Bulldog Andrew Smith, who bravely fought a two-year battle with cancer. As an element of the partnership, Butler’s live bulldog mascot, Blue III (commonly referred to as “Trip”), has been named a national ambassador for Be The Match. The partnership’s goals are to raise awareness about the registry and add enough members to the Be The Match registry to be the equivalent of saving 44 lives, in honor of Smith who wore #44 during his time at Butler. With a 1:430 ratio of registrants to matches, 18,920 new and available Be The Match registry members are needed to meet this goal. Every three minutes, someone is diagnosed with leukemia, lymphoma, sickle cell, or another life-threatening blood disease. In some cases, a marrow transplant is the only cure. In 70 percent of cases, no family member is a donor match, so they turn to the Be The Match marrow registry. Nationally, the Be The Match registry has over 13 million members, but it is in desperate need of more young adult members who are available when called up to donate their marrow. 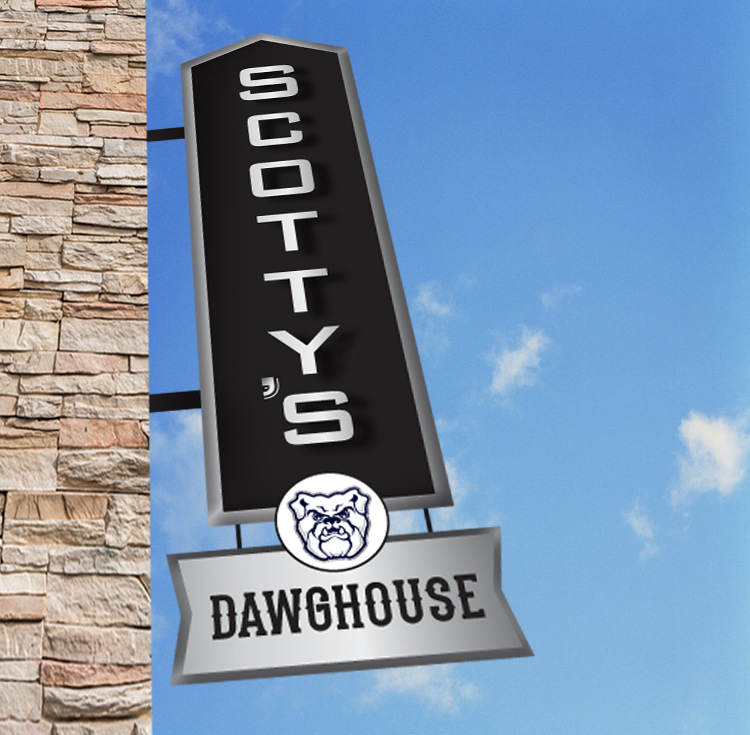 Smith was a beloved member of Butler University’s two-time NCAA Finals men’s basketball team. On January 12, 2016, at the age of 25, he died after a two-year battle with cancer. After being diagnosed, then beating cancer in 2014, Smith’s cancer returned, requiring a bone marrow transplant on October 19, 2015. Throughout his battle, he and his wife, Samantha, worked to raise awareness for the bone marrow registry. Those interested in learning more about the registry and how to become a member can text “ANDREW” to 38470 or visit join.bethematch.org/Andrew1. 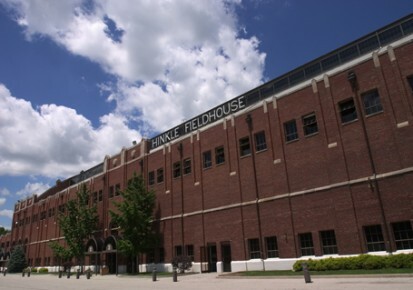 The #9 seed Butler men’s basketball team advanced to the second round of the 2016 NCAA Tournament before its loss to #1 seed University of Virginia on Saturday. In between, speaker after speaker rose to celebrate the life of Bobby Fong, Butler’s 20th president, who died September 8 in Collegeville, Pennsylvania, where he had been serving as president of Ursinus College for the previous three years. President Danko was among the speakers to honor Bobby Fong. Colin Fong was the last of nearly a dozen speakers, a lineup that included 21st President James M. Danko, former Indianapolis Mayor Bart Peterson, College of Education Dean Ena Shelley, Political Science Professor Margaret Brabant, trustees, and alumni. 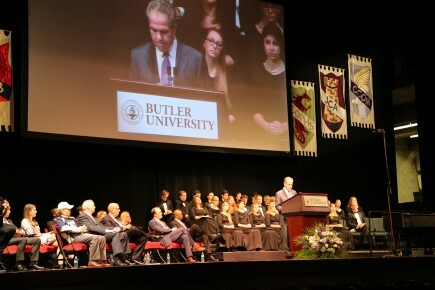 Levester Johnson, Vice President for Student Affairs, served as master of ceremonies; the Butler University Chorale provided musical interludes. 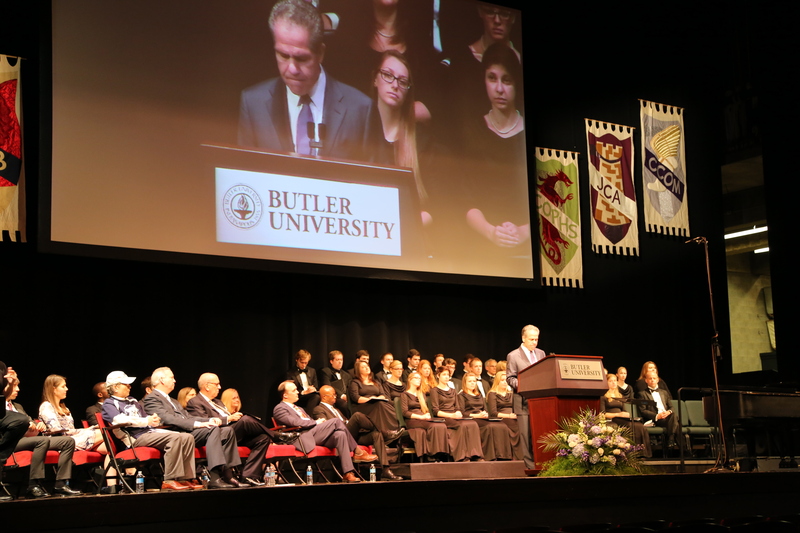 Butler basketball is about much more than wins, as two recent newspaper stories note. In the Indianapolis Business Journal, sports columnist Mike Lopresti wrote that Butler's success off the basketball court over the last 10 years is unrivaled in Division I. The Bulldogs have had seven Academic All-Americans since 2007, more than any other Division I school. 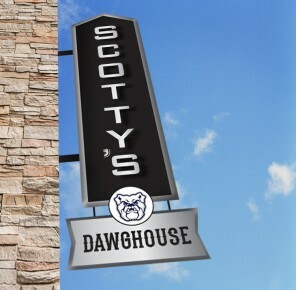 In his February 20 column, Lopresti looked at Butler's past Academic All-Americans and what they've been doing since graduation.